Centennial College supporter H. Bruce MacRitchie, whose Aviation Technician Scholarship is named in memory of his late brother Douglas, has furnished a major new gift to the college – the largest by a private individual to date – amounting to more than $1 million worth of small aircraft, engines, equipment and funds. “Aviation has been very good to me. 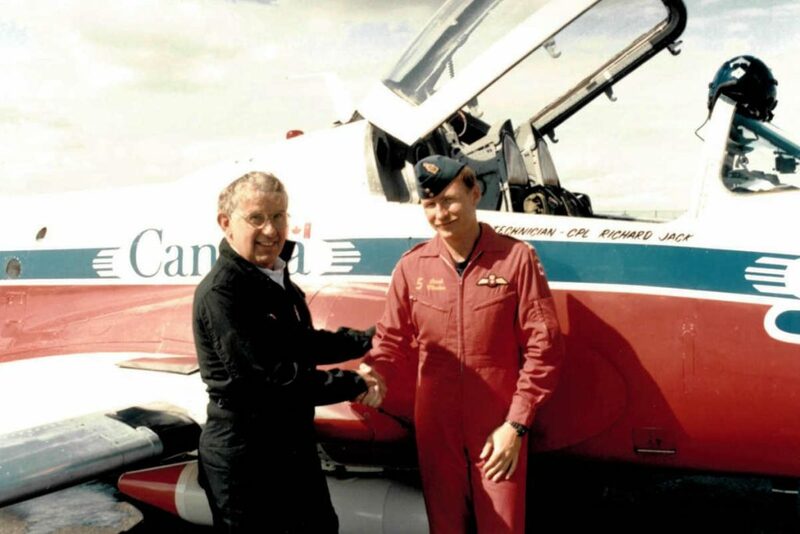 I own half a dozen airplanes myself, and my stepson graduated from Centennial’s Aviation Technician program and went on to have a great career with Air Canada,” says MacRitchie. Still spry at age 84, MacRitchie has long been associated with Canada’s aviation industry. While working for an electric motor manufacturer in 1955, he enrolled with Central Airways in Toronto to earn his private pilot licence. 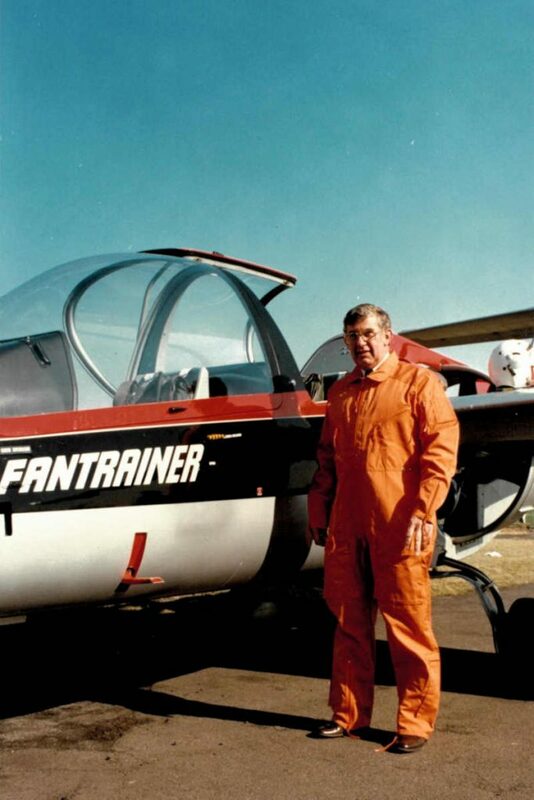 In 1962, he joined forces with a colleague to form Carldon Aviation, which sold Cessna light aircraft. Fleet was growing as an aerospace component supplier, which meant relocating a company representative to the epicentre of the booming aircraft industry in California. MacRitchie was named Fleet’s rep on the Lockheed L1011 airliner program. “We had displays at several of the big industry shows at Paris and Farnborough, working with prime aircraft companies in North America, Europe, Japan and Israel,” says MacRitchie, who has flown a de Havilland Twin Otter across the ocean with corporate pilot Tom Appleton. 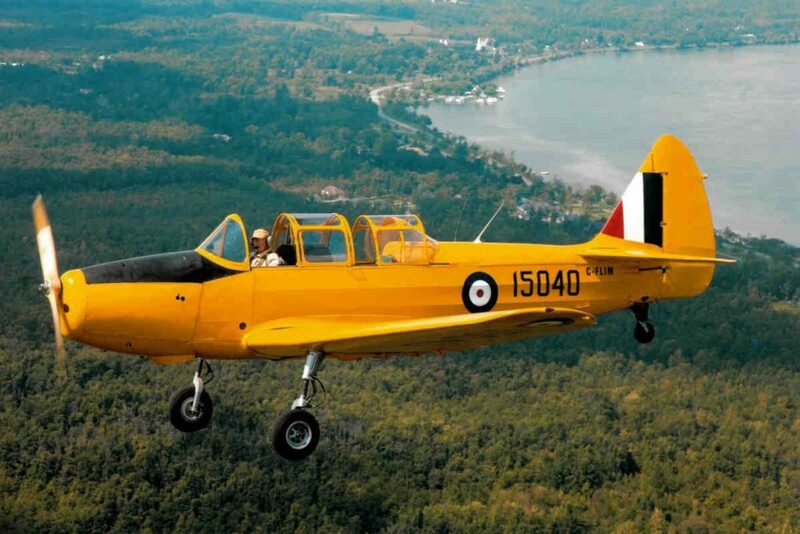 “Our volunteer group, headed by me, restored and donated several aircraft, including the Fleet Fort and Cornell aircraft, which were produced by Fleet during the Second World War.” He believes the war effort helped to establish Canada as an industrialized nation. Today the long-dormant facility is undergoing restoration and expansion to become Centennial College’s fifth campus, thanks to generous funding from the Ontario and federal governments. The Centre for Aerospace and Aviation will be the new home of Centennial’s aerospace faculty, aircraft and related equipment relocated from Ashtonbee Campus in January 2019. MacRitchie is energized by the transformation unfolding on Downsview’s hallowed ground. As he points out, aviation is inextricably tied to Canada’s history – airplanes helped open up the far north to economic activity, including mining and forestry. Now he can witness a chapter of Canada’s aviation history restored to its former glory. “I became involved with Centennial after my brother Douglas was killed in an accident when he was flying his own aircraft to work with me on the Cornell restoration project. That led me to establish a student scholarship in his name at Centennial in 2003.” With that selfless gesture, MacRitchie was introduced to the community of learners at Ontario’s first college. “I’ve met many nice, young people in the college’s program, and I’ve often thought, how can I help them further?” he says. This time, Bruce MacRitchie doubled down on his commitment with a record gift to the college. “This gift represents a better return on my investment,” he smiles. Toronto’s Centennial College operates one of the largest transportation technology training centres in Canada at its Ashtonbee Campus, and is a founding member of the Downsview Aerospace Innovation and Research (DAIR) consortium, which is working to maintain Canada’s ranking as a major aerospace supplier to the world.